The reason your company should use a freight broker is simple, savings and efficiency. Using a freight broker to handle your company’s freight shipments is a great investment. It is an investment in time management and allows your business to concentrate on growing sales. In addition, a broker can notify your shipping department of impending changes that may affect your business, such as ELD implementation. Freight brokers bring more than LTL freight discounts to your business, indeed they can be an invaluable part of your business. A freight broker is essentially a liaison between your business and various truck lines. If the shipment is an LTL freight shipment, a broker negotiates a discounted rate for various lanes. If the shipment is a truckload, then a broker can be highly beneficial to your company. A freight broker is aware of market conditions that can affect truckload rates and capacity issues. A freight broker can also verify if a truck company is legally allowed to operate and make sure their insurance is up to date. How Can A Freight Broker Benefit My Company? Saves your company time making your company more efficient. Saves employee resources that can be directed at growing opportunities within your niche. Frees up cash flow providing your business with more working capital. Larger discounts on less than truckload & volume truckload shipments. Reduces internal company payroll by spotting freight bill inaccuracies. What Is The Difference Between A Freight Broker & A 3PL? The difference between a freight broker and 3PL is a freight broker never sees or touches your freight shipment. 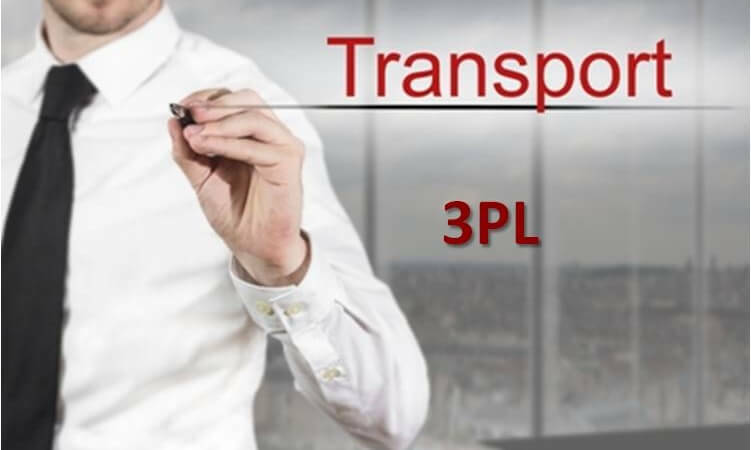 A 3PL typically provides freight brokering along with warehousing possibilities. If your company needs added warehouse space, a 3PL may be what your company needs. If on the other hand space is not a concern, then a freight broker will suffice for you. Many times a 3PL will partner with freight forwarders to offer added benefits. What Is The Difference Between A Freight Broker & A Freight Forwarder? A freight forwarder is similar to a 3PL, except that a freight forwarder also prepares documentation for export. They also warehouse your cargo which is great for drop ship type businesses. A freight forwarder might even perform customs clearance. In addition to storage, they also arrange distribution via their own in-house BOL ( bills of lading ). This is a huge help when exporting since documentation including BOL, certificate of origin and other documents may be requested. How Much Can A Freight Broker Save My Business? This answer varies from business to business. There are many variables that can determine your freight shipping savings. A company that solely ships LTL, may experience savings between 10-20%. If your business has a mixture of LTL & FTL, then your savings combined can exceed 30%. The reason for the increase in savings is because the truckload market is completely different than the LTL market. A caveat for truckload shippers is to be aware of seasonal trends and even weather conditions that can have a negative effect on your freight rates. How Can I Find A Quality Freight Shipping Broker? You should always do your due diligence before working with a freight broker. All freight brokers must be licensed by the FMCSA. It is a great idea to check the FMSCA and make sure that the freight broker is in good standing. In addition, check how long the freight broker has been in business, new freight brokers must obtain an additional $75,000 bond. This bond is called a BMC-84 which acts as an additional insurance for a shippers goods. The bond goes into effect if a carriers cargo insurance refuses to pay on a claim that is just and meets all the laws about damaged, lost or stolen freight. Manufacturers with regular outbound freight shipments should engage the services of a professional and reliable freight shipping broker. Top-rated freight shipping brokers perform an analysis of a company’s inbound and outbound freight shipments. These transport pros also handle invoicing and shipping documentation for their clients. They make it simple and easy for clients to comprehend freight transport costs by consolidating transport bills. The freight expert can also point out inefficiencies in logistics that may be causing unneeded expenditures.